This time again we’re introducing not a single car of the day, but multiple cars in one place. This time it’s strictly the BMW showcase. Featuring 6 gorgeous BMW M series models – BMW M3, BMW M5, BMW X5 M, BMW X6 M & BMW 1M. As you can see above, there are even 6 cars to choose from. 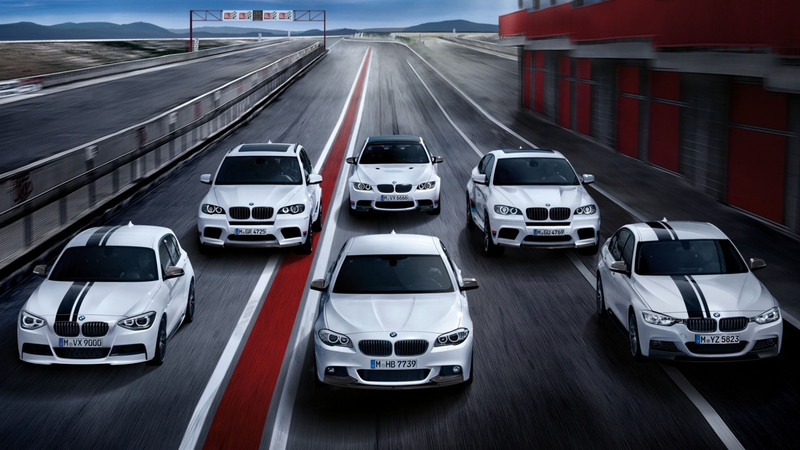 All are BMW, but each model is a totally different car in many aspects of the car. One thing all has in common – power. Each model is a brutally powerful automobile. Each carries the M badge and everyone who knows what it is, they know that each car is a serious automobile. Which one you would like to take for a spin? Is it be the X6 or X5? or you prefer the smaller ones? M3 or M5? or maybe you are a fan of 1 M series? Doesn’t matter a fact it doesn’t matter which one you would take for a spin, because all models are truly fun to drive and all are fast like hell. By driving each model you definitely would be having a fun time, because each model is just simply great. The BMW X5 & X6 M might look big compared to the smaller ones, but these big monsters are so fast that you definitely can’t complain about it. If all BMW fans would get a chance to choose one model from all 6 models in here, i think most of the votes would be for the BMW M3. Second probably would be the M5. Not sure which one would be the third pick, but i think the first two picks would be the same as i mentioned before.